The Maronite Church flourished atop the statuesque mountains of Lebanon and is deeply rooted in the consecrated land. Since its inception it has grown like a mustard seed into a resilient tree, with several churches nestled beneath its sturdy branches. The history of the Maronite’s is one of martyrdom and persecution, all for the sake of Freedom, Independence, Family, Community and above all else, Faith. The Maronite church, inherent in Lebanon, is steeped in community, strength and family. In Lebanese culture family is profoundly cherished and people identify themselves in familial terms and kin idioms. These values have been intrinsically woven through Lebanese society, becoming not only functional, but a necessary part of the struggle for social existence. Lebanon undoubtedly remains the spiritual Land of Maronite’s who preserve today, as strongly as ever, their tradition of hospitality, openness, attachment to their land, thirst for freedom, and who are resolutely united around their Patriarchate. ‘Patriarchy’ entails cultural constructs and structural relations that initiate guidance by wise and stoic elders and males. ‘Connectivity’ entails cultural construct and structural relations in which people invite and initiate involvement with others in the shaping of ‘self.’ Patriarchy helps reproduce connectivity by crafting seniors and males prepared to guide juniors, and juniors willing to respond. 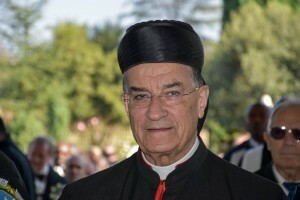 Patriarchy and kinship is innately embedded within Lebanese and Maronite culture, with the word ‘Maronite’ itself having been derived from the Saint Monk. Saint Maroun is the patron Saint of the Maronite Church, which is the only Catholic Church to hold the name of its founder. He is considered the Father of the spiritual and monastic movement now known as the Maronite Catholic Church. This movement had an incredible influence in Lebanon. The Maronite movement reached Lebanon when St. Maroun’s first disciple realised that there were many non-Christians in Lebanon. He set out to spread the word of Christ and introduced the Lebanese people to the St. Maroun way. Today, over one million Maronite’s in Lebanon courageously maintain, under the guidance of their patriarch, a tradition of openness and hospitality in the politically and religiously explosive situation of the Near East. Relational rights are neither communal nor individualist. Relation rights imply that a person’s sense of rights flows from relationships that they have. Essentially it is by being invested in particular relationships that one comes to have certain rights. This has created theoretical and political dilemmas, specifically in regards to women’s citizenship rights. 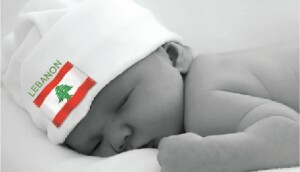 Under the current law, written in 1925 and modified slightly in 1994, Lebanese women are unable to pass their citizenship on to their spouse or children. A topic of great contention, it is important to note that this is not exclusive to Lebanon. However, as with current political changes across the Middle East and the world at large, Lebanon may very well be on its way to amending this law. Campaigners have succeeded in securing women citizenship rights in countries such as Egypt, which amended the law in 2004 to allow women to pass citizenship to their children, and in Algeria, which granted women full citizenship rights in 2005. Switzerland also amended a similar law and has instituted ‘renaturalisation’. The process of becoming Swiss again applies to Swiss nationals who lost their citizenship through marriage or another release from Swiss nationality. A woman who previously held Swiss citizenship and lost it when marrying a non-Swiss citizen before January 2006, can still have her citizenship reinstated. It is irrelevant whether her Swiss citizenship was acquired by descent, adoption, marriage or naturalisation. The patriarchal system runs deep in the Middle East and Western Europe, as these countries are motivated by heritage and fixed tradition that is deeply embedded within their culture. With movements rising, voices being heard and the Lebanese community speaking out in regards to citizenship, change is imminent.